Below is our delivery, returns, and warranty policies. If you have any further questions please contact us. All orders are shipped out of Melbourne Australia. Order before 12pm AEST for same business day dispatch. All other orders dispatched next business day. Damage caused by extended or excessive exposure to sunlight, improper handling or storage, or failure to follow the instruction provided with this product. 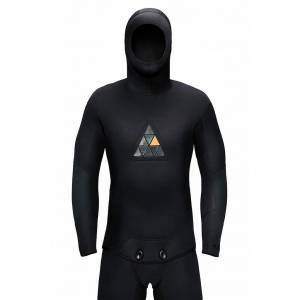 Wetsuits repaired by other repair services. To lodge a return or exchange please contact us through our contact page. Returns for change of mind or size are accepted 60 days from the purchase date. The return delivery is to be arranged and paid for by the customer. Ninepin will cover the redelivery of an exchanged item.